This book looks at the 942 artifacts of foreign origin - from Anatolia, Cyprus, Egypt, Italy, Mesopotamia, and Syro-Palestine - which have been found in the late Bronze Age Aegean area. These objects represent the only group of material in the LBA Aegean that has not disintegrated or disappeared, and as such are unique in providing information about the complex trade networks of the period. Begining with a discussion of trade and transactions in the LBA, Cline then examines the literary and pictorial evidence for international trade and presents a full catalogue of objects with description, origin, and bibliographic references. Three appendices include information on raw materials, problematic objects, and disputed contexts. 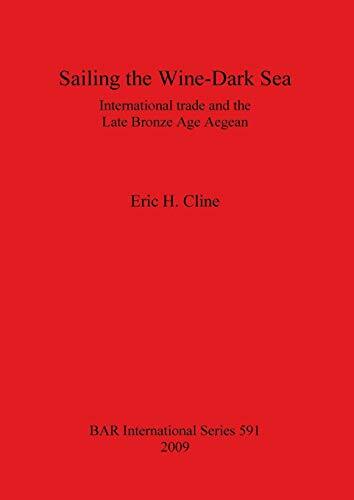 This information provides a useful database for those studying Aegean and Mediterranean trade.